My love is amorphous, like a single celled organism dropped in a vat of acid. What’s black and red and pink and spiky and full of love? This lopsided septagonal mandala which potentially looks like a Hot Topic exploding over an Orange Julius stand at the mall. It appears to be comprised of equal parts death, hearts, and sugar. It looks sharp. It will probably cut you if you try to pick it up. And it’s probably ornery, too. I bet the tips break off in your hand and you have to dig them out with a sterilized sewing needle. On a wholly unrelated note, if you like webcomics and/or binge-reading, and you haven’t already, why not head over to Panels and check out my new article about webcomics you can read straight through, beginning to end, online? 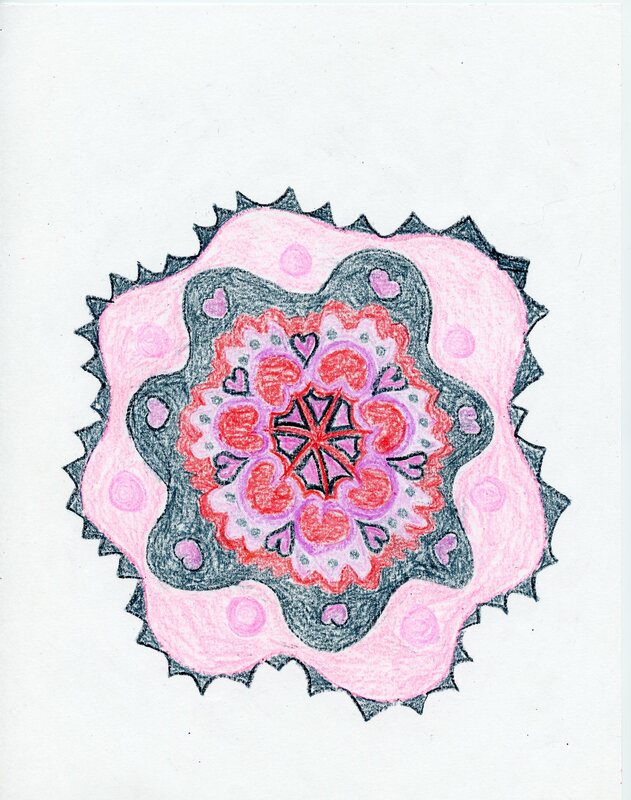 This entry was posted in mandala and tagged black, hot topic, mandala, pink, punk, red on May 7, 2015 by littledragonblue.